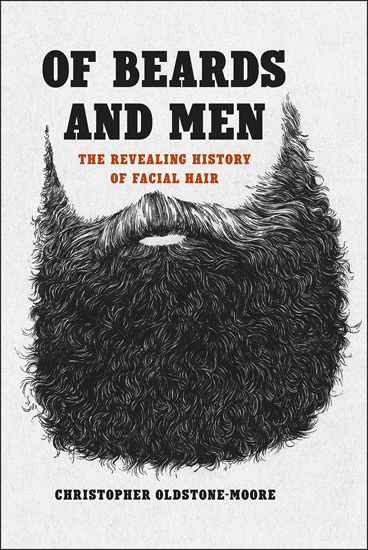 A history of facial hair, Of Beards and Men makes the case that today’s bearded renaissance is part of a centuries-long cycle in which facial hairstyles have varied in response to changing ideals of masculinity." On the larger historical picture, it is good; when alighting on the otherwise obscure moments of the bearded record, it is better, or at least more pleasurable to the lay reader...[Oldstone-Moore] falters a bit by giving short shrift to the present day, when a beard is a byword for hipness and the shifting politics of gender expression have made facial hair a loaded signifier. (The import of beards to the transgender community, both cultivation and depilation, would make an interesting book on its own.) But his long view on our unshaven history is likely to stand unchallenged for some time. [Oldstone-Moore] writes well, and his erudition is impressive, enabling readers to learn all kinds of interesting things from this zigzag chronicle, which is basically a history of Western civilization as written on the faces of its leading men...But the author’s obsessive exegesis leads him out onto some fragile limbs. What did you think of Of Beards and Men: The Revealing History of Facial Hair?